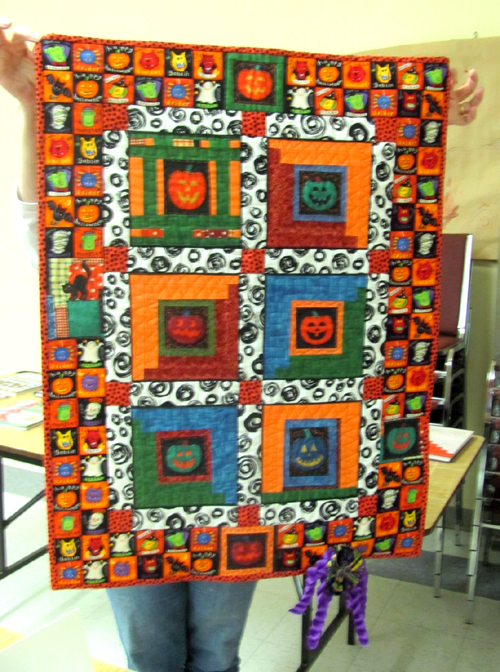 Jean’s Halloween quilt with spider attached. As Mariners celebrated our 10th anniversary, Nova Scotia quilter Susan Tilsley Manley came along to share her joy of quilting with an eclectic trunk show. 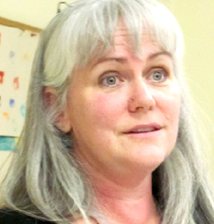 Much of her work focuses on the precious impermanence of life. 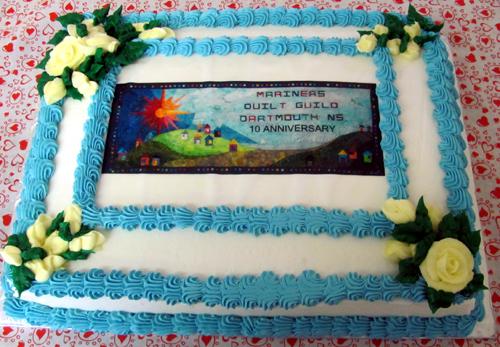 Mariners gathered together this past Monday to commemorate our 10th anniversary as a guild. For a decade now we have been getting together twice a month to share our love of quilting. Quilters reconnected after the summer break and we welcomed eight new members. As Mariners gather to start a new season of quilting this month, a valued friend and quilter will be absent. 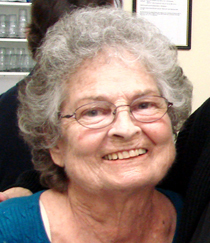 Kathy Ogden, a founding member of Mariners Quilt Guild, passed away in May, just three days after her 73rd birthday. 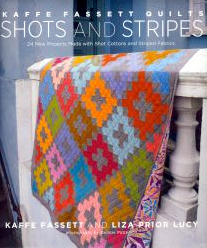 Kathy, an enthusiastic quilter, belonged to the Wannabees quilting bee and was one of the Bell House quilters.